Using herbs for medicinal purposes has always fascinated me, and I recommend them regularly in my practice. I use them myself. Herbs are food and medicine combined, and when used properly, they can speed recovery or treat ailments without side effects. Popping a pill or taking pharmaceutical drugs to address illness or chronic conditions can stress the liver and/or create further imbalance with side effects. Herbs have the double effect of both rebalancing and nourishing your body. Instead of reaching for over the counter drugs next time you need relief, why not address the problem naturally? Allergies: allergies can be complex. You may think you are reacting to a substance like pollen, but you’re actually reacting to the chemicals (histamines) released by your body in reaction to the pollen. My fave herb to recommend for allergies is stinging nettles, especially good for coughs, runny nose, chest congestion, even asthma. Get the dried leaves from your natural foods store, or in bulk, or in tea bags. Make a tea and drink liberally. High in iron, too. Vitamin C with bioflavonoids (its natural co-factor, which means it helps your body utilize it) is a natural anti-histamine. Take 500 grams a few times a day (not an herb but worth mentioning). Quercitin, though not an herb per se but a plant bioflavinoid, can prevent histamine response. Onions and green apples are good sources, but take up to 1,000 mg daily when symptoms start. 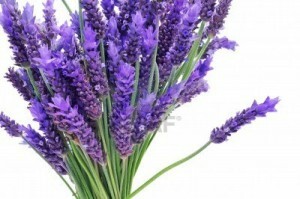 Lavender is beautiful and smells divine. Burns: aloe relieves the pain immediately and speeds healing. Ideally, you have an aloe plant in your house and you can snap off a leaf. Seriously, get an aloe plant. They’re useful and don’t contain those nasty chemical preservatives from that green aloe gel you buy at Walgreen’s (aloe is naturally clear). Honey is a superior healing agent: it’s antibacterial and has beneficial enzymes. Use liberally. Also, lavender oil is surprisingly effective for burns, and you’ll smell good, too. I have a lavender bush in my yard (you can get one and grow it in a pot), and I snap off the buds to use in tea for relaxation. It’s beautiful and smells divine. Colds: keep the ingredients (dried elderberry, yarrow, peppermint) for this concoction on hand at all times; it is my tried and true cold and general sickness fighter. Best used as soon as you think you’re getting sick. Teas are great for colds too: ginger tea; hot water with lemon and honey; licorice teas for sore throat; echinacea blends. Cramps: See my previous post on relieving menstrual cramps. The bark of the white willow tree contains salicin, a chemical similar to aspirin (acetylsalicylic acid). Back in the days of yore, people chewed on the bark to reduce fever and pain. It really works! You should be able to find a tincture or capsule form. Also try ginger tea and 500mg magnesium daily for cramping. I recommend using oona for PMS and period pain. Start taking it a few days before your period. Crampbark is great for PMS and menstrual cramps. Diarrhea: You might be able to find herbal tinctures to keep on hand with any of the following combinations: ginger, red raspberry, peppermint, fenugreek, meadowsweet, marshmallow, and/or slippery elm. If not, any combination of the aforementioned will do, but try for ginger/peppermint and slippery elm or marshmallow. The ginger and peppermint are anti-spasmodic and the slippery elm and marshmallow are demulcent and soothing to your GI tract. They reduce inflammation. Oregano oil, one of my favorites, is useful here, too: it is antibacterial, antiviral, and antipathogenic, so it’ll kill the bugs that ail you. Get an oregano oil tincture with 70% carvacrol (the active constituent). Also, try mixing carob powder with a nut butter or coconut milk: carob powder is extremely useful for stopping diarrhea and is good for the gut. Finally, keep a good quality probiotic on hand, and take one every hour during the day until bed to halt diarrhea. Though it’s temping to take anti-diarrheal drugs, they plug you up, and you want the offending pathogen to be expelled! (note: this is for acute diarrhea, not chronic, which could signal a different problem). Fever: Use a tincture of feverfew until fever breaks. Elderberry is great, too. You can take an elderberry tincture, or boil up the dried berries you already have for the cold formula above, strain, and drink. This is a decoction. 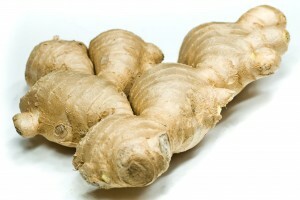 Ginger root is one of my favorite herbs. Technically it’s a root, but it has medicinal properties. Gas: Oregano oil works GREAT and quickly for gas and bloating/indigestion. Place 4 drops on your tongue and chase with water: it is strong and can sting. Repeat every 30 minutes or so . If you have fennel seeds around, chew on some of those. They work pretty well too. Ginger tea and peppermint tea also work great (especially ginger). Heartburn: if you have heartburn regularly, it could be a sign of food allergies, or you could have h pylori, a nasty bacteria that causes ulcers and stomach inflammation. Occasional heartburn is best treated with licorice root. Get a tincture and use as needed until it goes away. Do not use if you have high blood pressure. Peppermint works too, as does fennel. Nausea: Ginger tea is superb for nausea and can be used during pregnancy. Grate some fresh ginger in a mug and pour hot water over it. Peppermint tea is another good choice. Same combo works for general indigestion. Pain/headache: White Willow bark works really well for headaches and general body ache (see cramps, above). Kava kava is another choice; it is a mild (and legal) narcotic, has anxiety-relieving properties, and can be found as a tea. Sore throat: I like the Traditional Medicinals Throat Coat formula. It contains the demulcent herbs like licorice, slippery elm, and marshmallow. That’s my list for your herbal apothecary. Here is a list of formulas/recommendations I’ve used for addressing more ongoing, chronic health challenges, both for myself and my clients. Anxiety/Depression: taking an adrenal support tincture or combo with adaptogenic herbs can help. I like GAIA adrenal support with rhodiola, ashwaganda, holy basil. Motherwort can be very useful, and passion flower works well too (especially for anxiety-related insomnia). 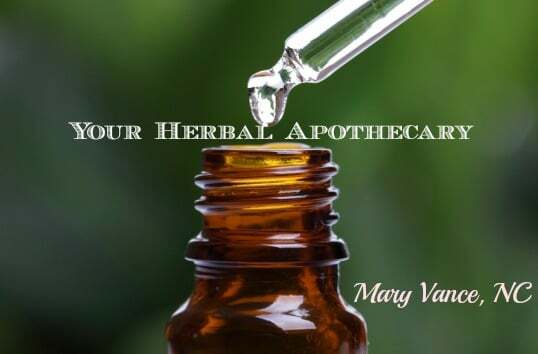 Skullcap and valerian are nervine herbs that calm the nervous system. Lemonbalm, chamomile and lavender work well too. Try them in a tea. St. John’s wort is most commonly recommended for depression, but do not use it if you take SSRI drugs. Maca root works well for hormone and mood balance. Click here for my maca root truffle recipe. Women’s health/Female infertility: I love Susun Weed’s book The Wise Woman Herbal. She mentions red clover, wild yam (which I use frequently to boost progesterone production), and red raspberry leaf (a great uterine tonic). 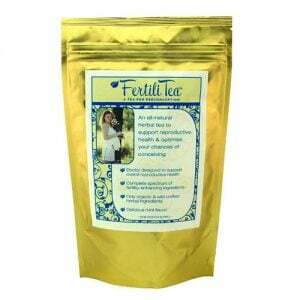 Many love this Fertili-Tea! Parasites/Gut dysbiosis: It’s easy to find a compound tincture with wormwood (Artemisia), black walnut, barberry, cloves, pau d’arco (best for candida). 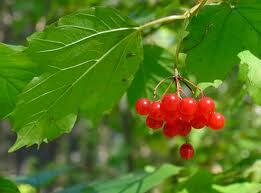 They are often combined with caprylic acid, berberines, and grapefruit seed extract. Oil of oregano should be used in addition to a compound formula. Liver Health: there are some awesome liver cleansing and protective herbal formulas on the market. The best combos contain milk thistle, oregon grape root, burdock, dandelion root, fringe tree (great for gallbladder too). My favorite is Vitality Works liver complex, but it’s not easy to find. Herb Pharm and GAIA have good ones. Immune Boosting: echinacea is the classic immune-boosting herb, but I don’t think it works all that well. Olive leaf extract works great if you’re coming down with something. Elderberry is excellent for immune health, too. Goldenseal is a good one; it’s antimicrobial. Same with oil of oregano– a natural antibiotic. Though not herbs, you’ll often find medicinal mushroom tinctures combined with immune formulas. They are excellent immune boosters! I love Mountain Rose Herbs for sourcing herbs, herbal tinctures, and elixirs. Wise Woman Herbals makes great formulas too, especially for women’s health. Hi, I was wondering if it is okay to ingest undiluted oregano oil or do you have to dilute it.Thanks! You can place the drops directly on your tongue and chase with water, but they do burn. you could put a little olive oil on your tongue as a buffer first or just take the capsules.